Home » Mortgages » Refinance Under HARP 2.0? The Home Affordable Refinance Program—known as HARP—has been redesigned to help more homeowners. 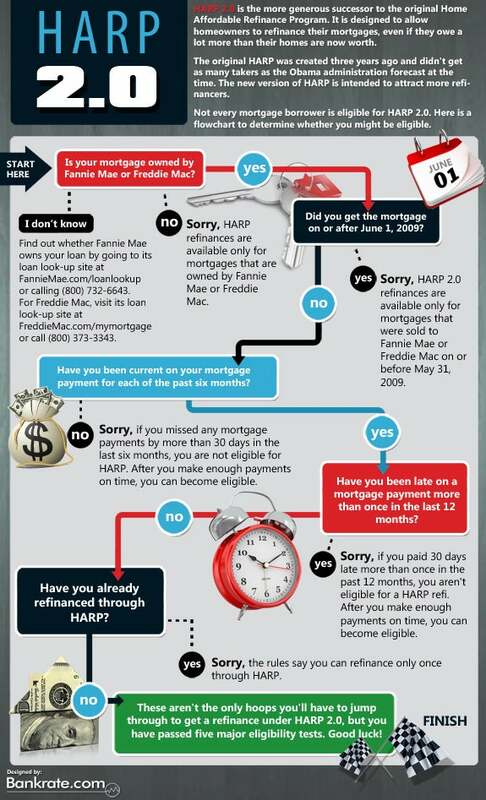 Check with your mortgage lender to know for sure, but here’s a nifty flowchart to help quickly determine whether a mortgage may be refinanced under HARP 2.0, the new & improved program.